I recently turned 30, and though I've attended my fair share of "third annual 29th birthday" parties, I personally don't have a problem with my age. I don't feel old at all. That is, until I find myself having a conversation with a full-grown adult who was born in the late 1990s and doesn't know what a pager is (er, was). Or when I hear a Nirvana song on the classic rock station. Or when I find myself relating to a sweeping trend piece about twentysomethings, only to realize that I no longer qualify. Okay, so maybe I feel a little more mature these days. But still, I had no intention of trying any procedure that involves needles for at least another decade or so, unless it was a new tattoo. 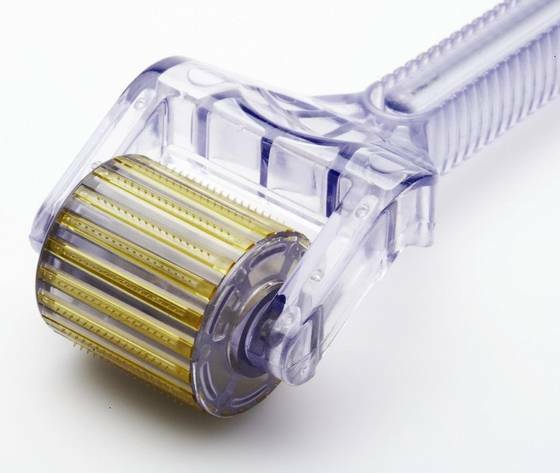 When I booked the Organic Stem Cell Facial with New York-based, Hungary-born facialist Ildi Pekar, I didn't realize there would be a micro-needle roller involved. The treatment involves piercing the skin with tiny needles in order to allow a potent growth factor serum to deeply penetrate the skin. Merely slathering creams on the skin’s surface doesn’t allow active ingredients to reach beyond the top layer. But Swiss cheese-ifying your face with lots of little holes lets all the good stuff get all up in there, so to speak. According to Pekar’s website,"Stem cells are responsible for growth during childhood and for the repair and regeneration of human tissue throughout our lives. After the age of 25, the level of stem cells are only at 20 percent." Oh, I see. I was nervous about all of this. The last time I tried anything more intense than a mud mask, it was the Clear + Brilliant Laser, which is often touted as painless and downtime-free. But I felt like I'd sizzled my skin away like a strip of crispy bacon. Was I getting myself into another painful situation here? When the genial and knowledgeable Ildi appeared to greet me, I felt instantly at ease. She assured me she'd use a teeny tiny needle, and that it wouldn't hurt — much. In the treatment room, Ildi cleansed my skin and sterilized my face with an alcohol prep swab. She let me peek at the roller before she began using it on my face, and I was surprised to see that the needles looked more like two-day stubble than a bed of nails. I can handle this, I thought. 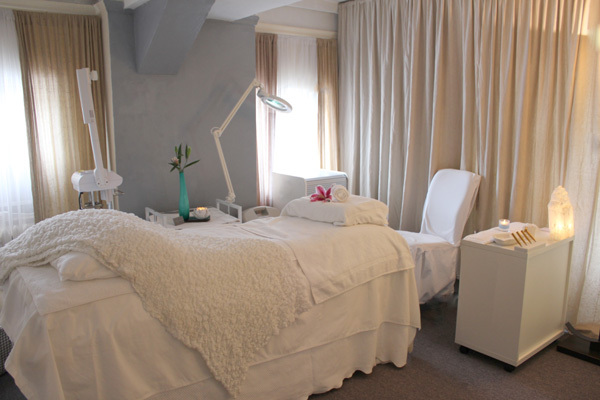 The treatment room at Ildi Pekar. Ildi began stroking the roller over my face, at first gently, then with more pressure. The sensation was prickly, but manageable. My face felt hot, like a sunburn. After a few minutes, I was glad when the painful part was over. Next, Ildi applied an organic apple stem cell serum to my face. “You’re young,” she explained (why, thank you!) — she reserves her special human growth factor serum for older clients. Next, she used a smooth metal tool that cooled my face to a below-freezing temperature and helped to seal up my pores with all of the precious youth-preserving stem cells inside. Finally, she applied an ice cold soothing gel, and it was all over. I expected to look in the mirror and see a purple, swollen face covered in hundreds of tiny pinpricks, but nope. I looked normal. The next morning my skin felt slightly puffy, but otherwise smooth and soft. A couple days later, my face has a noticeable glow. I’d say I look about 25. The Organic Stem Cell Facial, $385, is available at Ildi Pekar, 315 Madison Avenue, NYC.